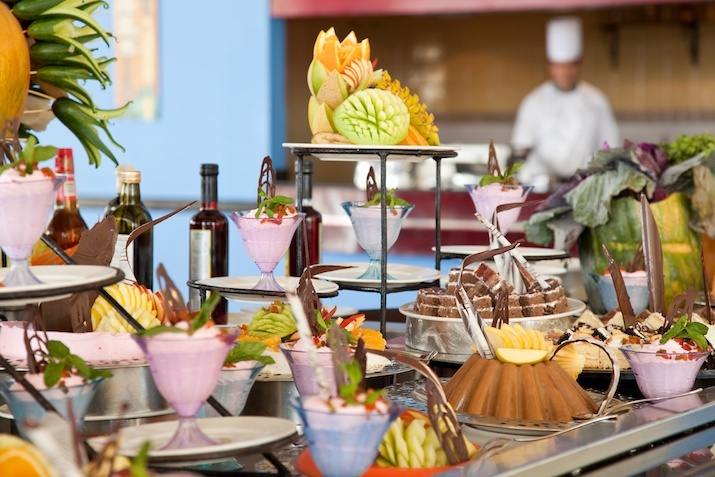 This stylish hotel offers friendly service, excellent dining and fantastic views. There’s a stunning poolscape, complete with a decadent swim up bar, and a private beach with easy access for snorkelling on the Far Garden reef. 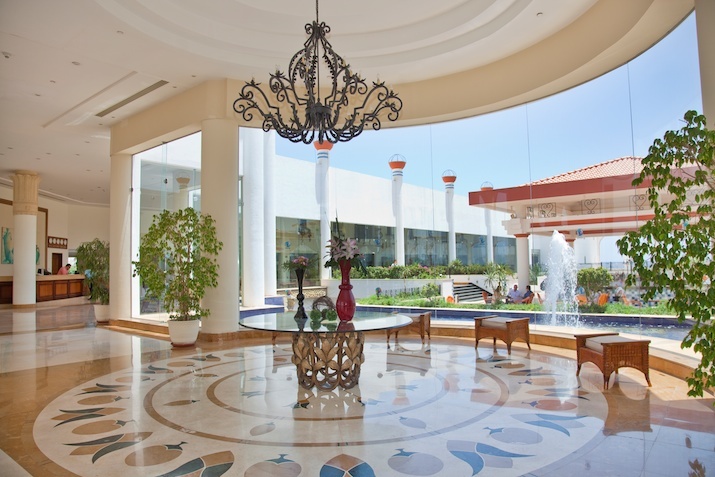 It’s easy to explore too: SOHO Square is just 5 minutes away, and there’s a regular shuttle service to Naama Bay. 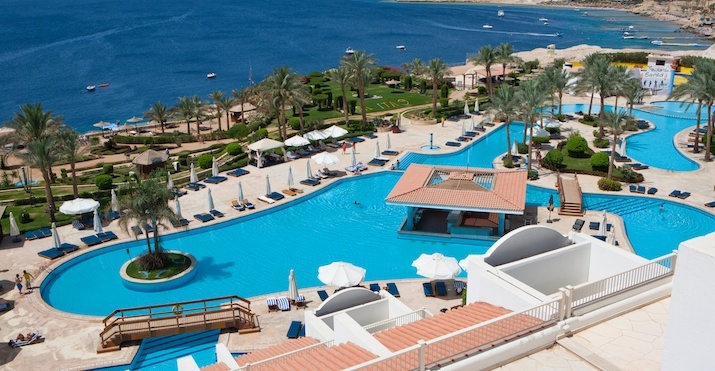 The hotel is in Sharks Bay, 5km from the airport and 12km from Naama Bay. It is just 5 mins by taxi from SOHO Square. 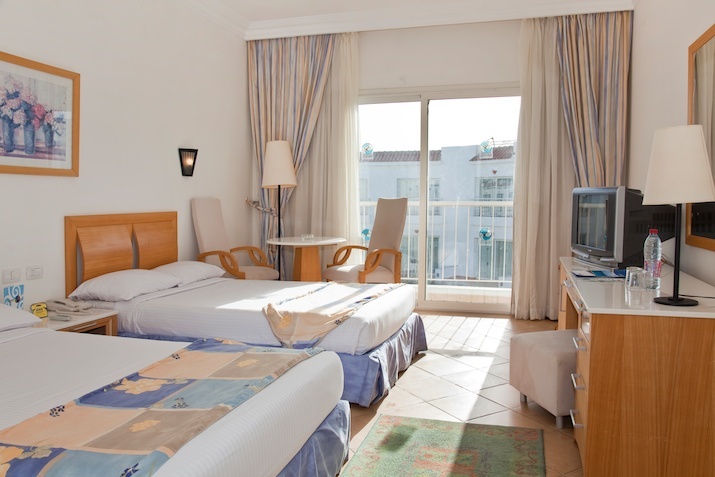 STANDARD ROOMS have pool or garden view and sleep 2 adults/2 children or 3 adults. There is a 600m private terraced beach with jetty access to the sea allowing snorkelling directly onto the house reef.